Soft Tissue Grafting is organized by Perio Institute and will be held on May 10, 2019 at Arlington, Virginia, United States of America. Additional details will be posted as soon as they are available. 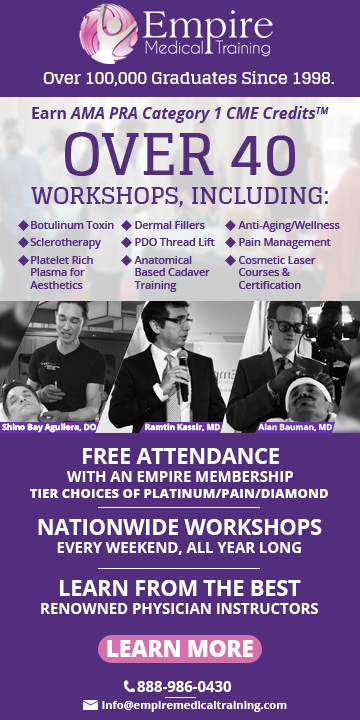 Crown Lengthening Seminar is organized by Perio Institute and will be held on May 11, 2019 at Arlington, Virginia, United States of America. This CE Conference has been approved for a maximum of 7 CE hours. Course Description: See evidence-based solutions for many of the practical issues that you face on a daily basis, then learn to predictably and effectively manage these issues. This one-day workshop will show how to solve these problems. It will also ensure that you are current in your treatment planning choices. The procedures that you learn and perform during this crown lengthening seminar will empower you to deal with: • Cusps fractured below the gingiva: Evaluate methods to determine the best solution. Is it lasers, extraction, extrusion, or crown lengthening? • Preps under the gingiva and not getting good impressions: Discover the methods available to solve those issues. • Planning esthetic restorations in the anterior and faced with uneven tissue, or a "gummy smile”: Learn how best to manage the excess tissue and achieve superior esthetic results. This workshop is suitable for clinicians with or without surgical experience. We have designed it to provide you with all the principles of hard and soft tissue surgery necessary to plan and carry out actual crown lengthening procedures, or else enough information to enhance your understanding should you choose to refer it out. Participants will see the indications and benefits of these procedures and how they improve dental health, produce better restorative results, and result in happier patients. Additional details will be posted as soon as they are available. Primary Care & Pharmacology Conference is organized by Nurse Practitioner Associates for Continuing Education (NPACE) and will be held from May 20 - 23, 2019 at Hyatt Regency Crystal City at Reagan National Airport, Arlington, Virginia, United States of America. This CME Conference has been approved for a maximum of 20 Contact Hours. 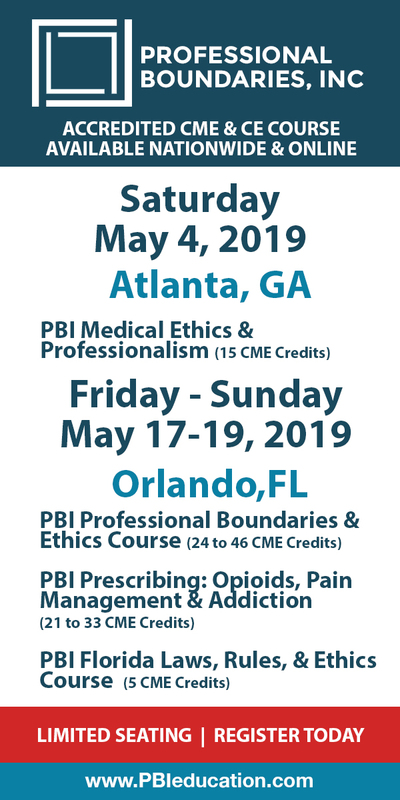 Course Description : As advanced practice clinicians, you need education that is geared toward higher-level thinking and continued competence in the patient setting. With pertinent and carefully crafted sessions, expert faculty, and the opportunity to network with hundreds of your fellow primary care providers, you’ll get just that in this combined Primary Care & Pharmacology Conference. Additional details will be posted as soon as they are available. Nurse Practitioner Associates for Continuing Education (NPACE) Exceptional Continuing Education Conference is organized by Nurse Practitioner Associates for Continuing Education (NPACE) and will be held from May 20 - 23, 2019 at Hyatt Regency Crystal City at Reagan National Airport, Arlington, Virginia, United States Of America. Additional details will be posted as soon as they are available. PNF I: The Functional Approach to Proprioceptive Neuromuscular Facilitation is organized by The Institute of Physical Art, Inc. (IPA) and will be held from Jun 07 - 09, 2019 at Virginia Hospital Center, Arlington, Virginia, United States of America. Audience: PT, PTA, OT, SPT Attendees agree to utilize all skills of evaluation, assessment and treatment learned in this course to the extent allowed under the regulations of their professional practice act. By registering you acknowledge that your attendance does not represent authorization by the IPA, or any of its officers, to utilize any of the material learned which may lie outside of the strict interpretation of your practice act. Course Purpose: To effectively treat as a Functional Manual Therapist®, one must address the interrelationship between the neuromuscular, soft tissue, and articular systems. PNF I offers a dynamic and functional evaluation and treatment approach to this interrelationship based on specific analysis of motor recruitment patterns and Characteristics of Neuromuscular Function. This course progresses from specific shoulder girdle, pelvic girdle, and trunk patterns to weight-bearing postures and movements. Content emphasizes the establishment of efficient motor recruitment patterns for rehabilitation of neurological and orthopedic patients and posts manipulative techniques. The material in this course is directly related to current neurophysiology of muscle function and motor control. Course Objectives: The participant will develop an understanding of the: • normal growth and development principles on which PNF has founded • neurophysiology behind the PNF principles • FMT paradigm of mechanical capacity, neuromuscular function, and motor control. • application of the FMT paradigm to the practice of PNF. • FMT operational definition of Functional Efficiency and how it applies to the practice of PNF. • attributes and differences between tonic vs phasic contractions and isometric vs maintained isotonic contractions. The participant will develop the: • clinical skills to determine a patient’s neuromuscular ability to initiate functional movements with a proper feed-forward mechanism, and if necessary, select the proper PNF technique to facilitate a CoreFirst contraction. • manual skills to assess the mechanical capacity of the joint and soft tissues associated with PNF patterns and functional positions of hook lying, on-elbows, sitting, and gait. • observation skills to identify inefficiencies in the scapula and pelvic patterns as they relate to functional activities • skills to identify the presence or absence of CoreFirst® strategies in various functional movements and postures and demonstrate the necessary clinical reasoning to determine the proper PNF intervention if a dysfunctional motor strategy is identified. • clinical reasoning necessary to implement a plan of care related to the restoration of efficient mechanical capacity, neuromuscular function, and motor control through the utilization of appropriate principles and techniques of PNF based on the objective and subjective findings related to a patient’s presenting symptoms. AAMI/ID, Infusion Devices Committee is organized by Association for the Advancement of Medical Instrumentation (AAMI) and will be held from Jun 11 - 13, 2019 at AAMI Center for Excellence (ACE), Arlington, Virginia, United States of America. Additional details will be posted as soon as they are available. Nephrology Coverage Advocacy Program (NCAP) 2019 Annual Forum is organized by Renal Physicians Association (RPA) and will be held from Jun 22 - 23, 2019 at Arlington, Virginia, United States of America. Additional details will be posted as soon as they are available. Internal Medicine Board Review (IMBR) Course is organized by American College of Physicians (ACP) and will be held from Jul 08 - 12, 2019 at The Ritz-Carlton, Pentagon City, Arlington, Virginia, United States of America. This CME Conference has been approved for a maximum of 41.5 AMA PRA Category 1 Credits™ ACP's IMBR Courses Provide: • A comprehensive review of internal medicine that is guided by the blueprint of the ABIM Board exam • Interactive case-based studies for an engaging learning experience • Tips on test-taking strategies to strengthen your confidence • Instruction by a team of expert clinician-educators • ACP Digital Flashcards • Electronic Syllabus available for download • Earn CME Credits and MOC Points • Guaranteed to prepare you for the ABIM board exam Course Objectives : • Increase and refresh knowledge of core topics in internal medicine and the subspecialties through discussion of common and not-so-common clinical problems. • Become adept working through difficult test questions logically and successfully. • Implement changes in clinical practice in accordance with recent advances and clinical guidelines. Additional details will be posted as soon as they are available. Ultrasound Hands-On Course is organized by American Vein and Lymphatic Society (AVLS) and will be held on Aug 10, 2019 at The Westin Crystal City, Arlington, Virginia, United States of America. Additional details will be posted as soon as they are available.